Do we have a priori knowledge of the world? Do we have innate concepts? Rationalists answered that we do, whereas empiricists denied it. Eventually came Kant, who refuted empiricists and rationalists, sentenced the end of those movements, and embodied their insights within his own transcendental philosophy. These days, this sort of narrative is regularly attacked for overstating the importance of epistemological matters and for being biased in favour of Kant’s philosophy. Who first framed that narrative? Some say it was Kant. Yet I argued in an earlier post that this is not the case. While Kant introduces the terms “empiricism” and “rationalism”, he does not view empiricism and rationalism as purely epistemological views. Moreover, he does not take his thought to be above empiricism and rationalism. He takes himself to be a rationalist. The Elementary Philosophy is therefore essentially different from the Critique of Pure Reason. And the philosophy of which it is a part […] can no more be called critical than it can empirical, rationalist or sceptical. It is philosophy without nicknames. The insufficiency of empiricism brought about rationalism, and the insufficiency of the latter sustained the other in turn. Humean scepticism unveiled the insufficiency of both of theses dogmatic systems, and thus occasioned Kantian criticism. The latter overturned one-sided dogmatism and dogmatic skepticism. and revealed their mistake. This was believing that we are able to know mind-independent things, either on the basis of simple mental representations drawn from experience (empiricism), or by means of innate concepts and principles (rationalism). Hume confronted this crucial issue about the conformity of impressions to their objects; this was what everybody had taken for granted without proof before his time, and he demonstrated that no proof can be offered that is without contradiction. Hume’s mistake was assuming, like Locke and Leibniz, that the objects that impressions must conform to be true are mind-independent or, in Kant’s terms, things in themselves. Kant rejected that “groundless assumption by proving “that objective truth is entirely possible without knowledge of things in themselves”. Reinhold’s Kant takes objective truth to be the correspondence of our mental representations with mind-dependent, phenomenal objects. On the basis of this view, Kant answered the central question of what are the extension and limits of our cognitive powers. For Reinhold, answering this question enabled Kantians to solve the disputes in the fields of ethics and natural law, and even theology. 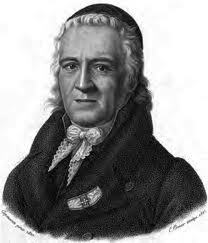 With his account, Reinhold places Kant above and beyond empiricism and rationalism. Reinhold takes epistemological issues on the foundation and limits of knowledge to be central to the whole philosophy of early modern age. In short, Reinhold has the epistemological and Kantian biases. It is easy to see why Reinhold’s potted history of early modern philosophy was attractive for Reinhold’s contemporaries. From a historiographical point of view, it places four works that Reinhold’s contemporaries held in great esteem (Locke’s Essay, Leibniz’s New Essays, Hume’s Treatise, and Kant’s first Critique) within a single, coherent narrative. From a philosophical point of view, Reinhold places Kantian and post-Kantian philosophies that had become increasingly popular at the summit of the development of human reason. Reinhold’s history of early modern philosophy is very sketchy. The first historian to flesh it out in great detail was Wilhelm Gottlieb Tennemann. Next time I will tell you about him. This entry was posted in Ideas and tagged empiricism, German philosophy, historiography, rationalism, Reinhold by Alberto Vanzo. Bookmark the permalink.